A vast majority of Boeing employees have now seen their traditional pension plans end, being moved to a 401(k) style plan. Boeing will end its pension plans for non-union employees by 2016 in an effort to curb the company's growing pension costs. 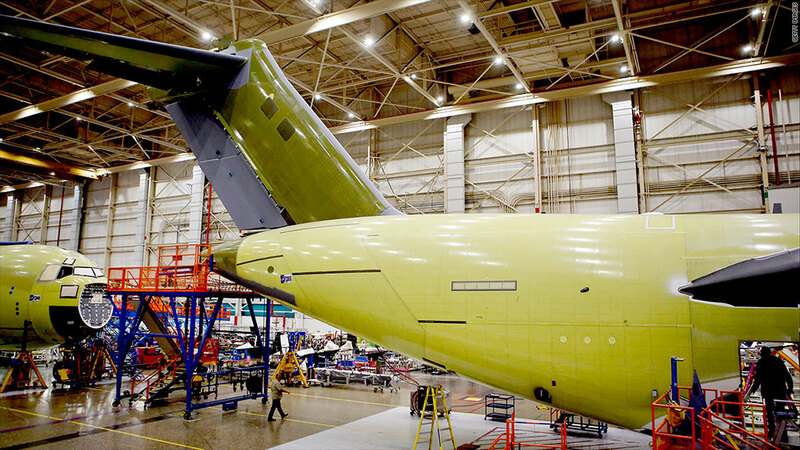 The change in retirement plans will impact 68,000 workers including managers and executives, Boeing (BA) said Thursday. Those employees will transition to a 401(k) plan. Boeing will contribute directly to these plans and match any money that workers opt to save. Any benefits earned from the current, traditional pension plan will be paid when the worker retires, along with the 401(k) funds. The objective is to provide employees with "attractive" benefits while also curbing the unsustainable growth of Boeing's pension liabilities, according to human resources senior vice president Tony Parasida. The change won't go into effect until Jan.1, 2016. At that point, Boeing will contribute 9% of an employee's eligible income to the new plan. That percentage will decrease by 1 percentage point for the following two years. Then, Boeing will contribute between 3% and 5% of a worker's income each pay period, depending on their age. The company will also continue to match whatever the employee contributes themselves. Thursday's announcement means that a "vast majority" of Boeing employees will have now been moved to a 401(k) plan, said spokesman John Dern. All nonunion employees hired since 2009 as well as new hires represented by 28 unions have already been moved to defined contribution plans. The shift comes two months after union members accepted a labor agreement that would also transition 33,000 Boeing machinists from the pension plan to a 401(k). It was a divisive vote within the union, but it will keep a union-represented plant in the Seattle area well into the future.